RSU 18 has 4 instructional coaches – two at the elementary level and two at the middle school level. Shelly Moody covers Atwood and Williams as an instructional coach and Literacy Specialist while Pam Prescott works part-time with Belgrade Central. Jenny Barry is a part-time teacher/part-time coach for MMS while Dean of Students Meagan Murphy fulfills the instructional coach role at CMS. While a typical day looks a little different for each of them, the main focus of the position is always to support teachers around particular goals for student learning. 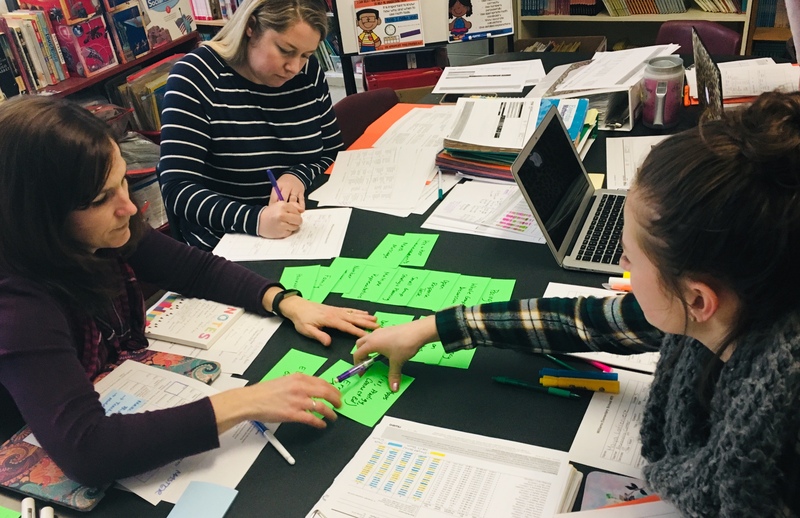 Instructional Coach Shelly Moody works with 5th-grade teachers Brianna Brockway and Alexandra Cotter on analyzing student data, reflecting on instructional practices, and determining interventions and goals for individual students.